In submitting this application, I believe all of the above information to be true and complete. I certify that I am not currently receiving full funding for my education. I authorize The Arc to obtain and review my academic records. By submitting this application, I authorize The Arc to use my name and photo if I am selected as a scholarship recipient. All Scholarship information will be kept strictly confidential. Please respond to the following questions. Attach your typed responses to this form. Allowed file types: gif jpg jpeg png txt pdf doc docx rar zip. Upload, email, or mail in all materials. All materials must be mailed in one packet. If you choose to email, it all must be in one email. 1. Why have you chosen to pursue higher education? 2. What field of study are you interested in? Why have you chosen that particular field? 3. What have you done to prepare yourself for higher education? 4. If you were chosen to receive the Arc's higher learning scholarship, how would you use the funds? 5. 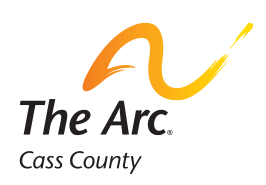 List any other information you would like The Arc to consider in support of your application. Please submit an official transcript including your most current semester with your application materials. Please submit a copy of an acceptance letter or current enrollment documentation.